A young miner crawls through a rathole in the Jaintia Hills. Tunnels two feet in height are made into the seam sideways to extract coal. 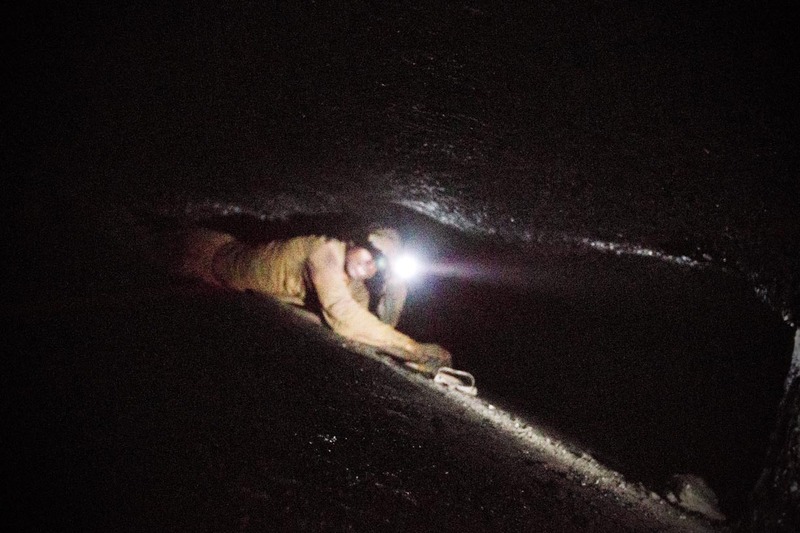 The miners crouch into these tunnels, equipped with only a flash light and a pick-axe to chip away at coal.